So, you’re new to the game of golf. One of the first things you’ll quickly learn about is your golf bag and all of the magical contents within. Over time, it might end up filled with a diverse array of handy gear, but the primary tools that will help decipher your success out on the green are those 14 golf clubs. It may seem daunting at first- you need to play with 14 clubs? Absolutely, as each has its own purpose and advantage. 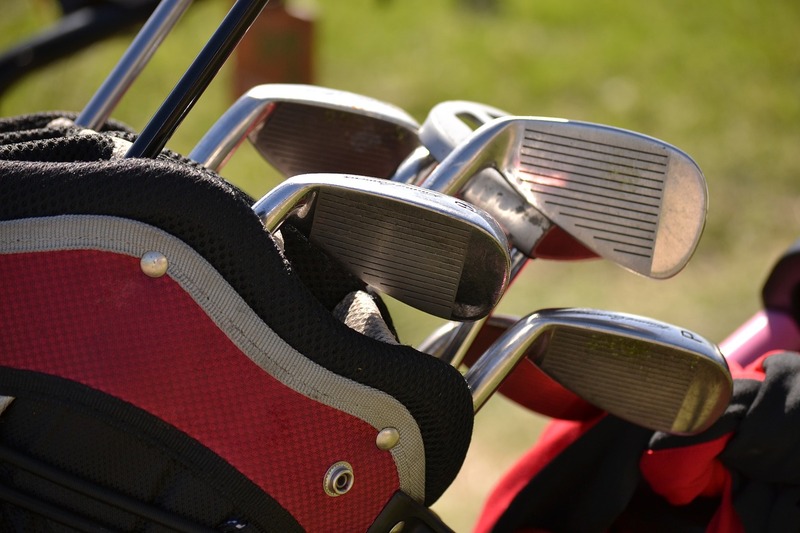 Here is our quick guide on the duty of each golf club in your bag. Driver: This club features a hollow body and large head; has the lowest loft. Putter: Used on the green to roll the ball into the hole. 2-3 Fairway woods: These clubs are meant for long distance fairway shots or tee shots. 2 hybrids: Features a head made from wood and metal, this is also used for long shots from difficult positions. 7-8 irons: Versatile and can be used for a variety of shots. Now that you know each club, choosing the best ones for your bag is the next important step. Here are some shopping tips to help you out. Always try them before dishing out the cash. Sporting goods stores usually have a small area where you can test clubs out. If you’re a beginner, avoid 3-,4- and 5- irons until you get the “swing” of things. These are manufactured with less loft, making them difficult to play with. Pick clubs that have graphite shafts instead of steel. They are easier to swing because the weight is in the head of the club. Going with a half set instead of a full set means you won’t get the driver and 3 irons. For a beginner, that’s perfectly fine. Learn with the half set first before adding the other clubs.